David Choi, a young, gifted writer/producer based in Orange County, CA, has won the SongwriterUniverse “Best Song Of The Month” Contest for February, for his song “Anything You Want”. Choi, who is only 18, adeptly played all of the instruments and sang all of the vocals on this demo. 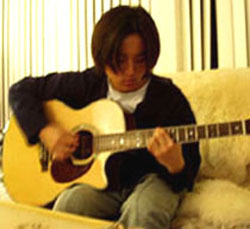 Notably, Choi is also a recent winner in the John Lennon Songwriting Contest, and the David Bowie Mash-Up (remix) Contest, sponsored by Audi. “Anything You Want” is a very fresh, modern pop-rock tune, which is appealing and fun to listen to. The exuberance and energy of the music tracks comes through well, particularly in the song’s hooky chorus. Although this recording could use a more polished mix, it’s very easy to imagine hearing this song on Top 40 and modern rock radio stations. 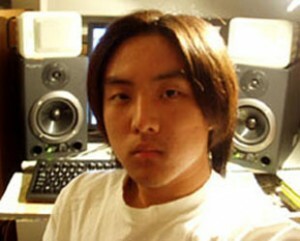 In the past six months, Choi has primarily written and produced songs by himself, playing guitars and keyboards, and programming the drums, loops and samples. He has entered many song contests, and he won first place for his lyric writing in the John Lennon Songwriting Contest for Teens. Even more notably, he was named the grand prize winner in the David Bowie/Audi Mash-up Contest, for mashing together two Bowie songs, “Shake It” and “She’ll Drive A Big Car.” Choi received an impressive $30,000 prize from this contest. Written & performed by David Choi of Orange County, CA.